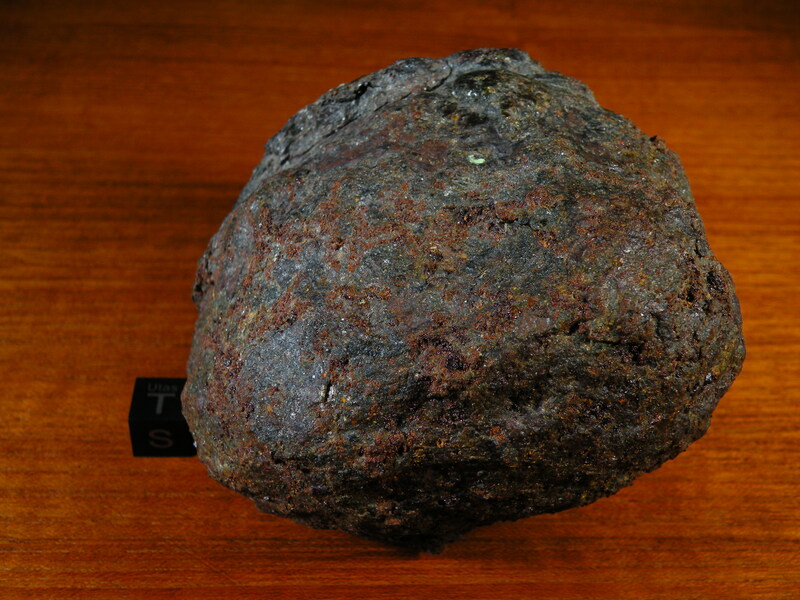 The story of the Bondoc mesosiderite is a remarkable one. A direct transcription from H. H. Nininger’s Find a Falling Star follows. If the profession of meteorite hunting deals out some cruel blows, it also springs marvelous surprises. Ten years earlier, a visitor from Manila to our museum on Highway 66 had shown a keen interest in meteorites. He was John A. Lednicky, a University of Kansas graduate who had lived in Manila most of his life. After his return to the Islands he sent us three fine tektites and we continued to correspond. I had telephoned him while we were in Manila, and an invitation to dinner at his home awaited us on our return to that city. During the evening I told him about the sample that the Bureau of Mines had turned over to me, my plans for investigating it, and my disappointment. The report given me by Senor Tanada indicated a mass of a ton or more–perhaps several tons. I mentioned that I might make a return trip. Mr. Lednicky said that if and when I needed any assistance he would be glad to help. He had access to all kinds of equipment and he liked such work. 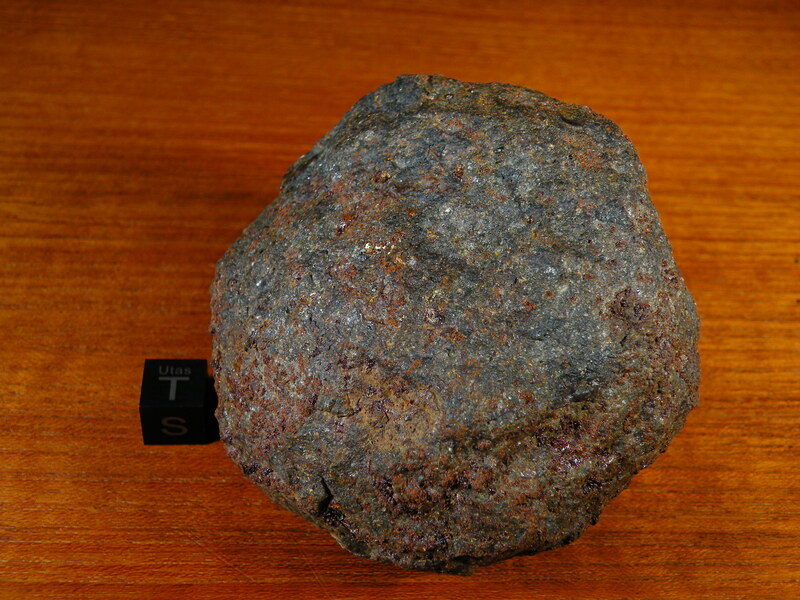 In the following months, as we traveled in Vietnam, Thailand, Australia and New Zealand, and during out leisurely ship journey home, I pondered the Bondoc story from time to time: Everything pointed to an unusually large meteorite; there were indications that it was a new variety; and its geographical location was especially important, since it was only the third find in a land area that should have yielded several times that number. I decided to write to John Lednicky to request the help he had offered. His reply was prompt: He had given the matter careful thought and would go to the site as soon as weather would permit, Bondoc being a narrow peninsula that suffers very severe monsoon rains and windstorms and is subject to typhoons. Lednicky added that while awaiting good weather he would look carefully into all of the legal aspects of the project. I sent letters to Tanada and Mendoza introducing Lednicky as my representative. On September 15, 1959, Lednicky wrote again–he must wait until after the national election because bandits were operating on the peninsula; there had been considerable shooting. But after the election there followed more rains, more typhoons; then an illness kept Lednicky in the hospital for some time. Now, I knew that Lednicky either must have reached the wrong rock or else this was a new type of meteorite. 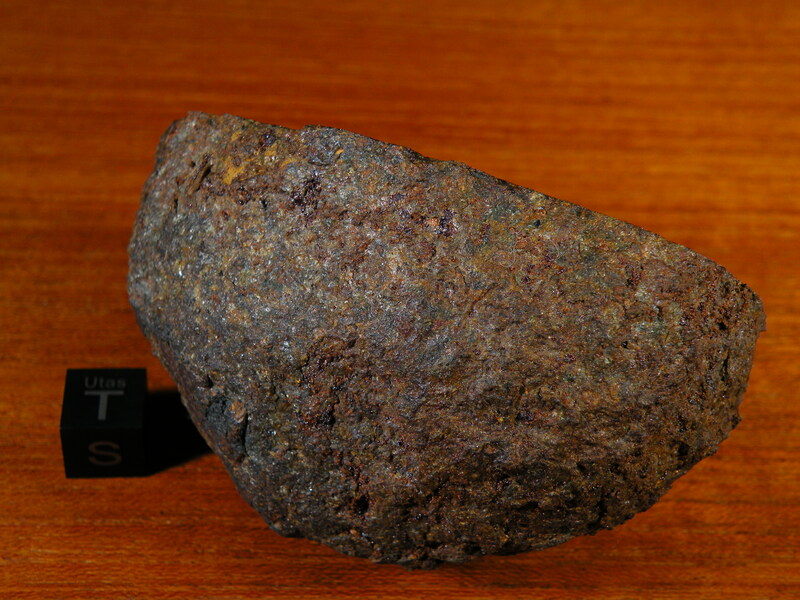 The sample submitted to the Bureau of Mines could not be mistaken for low-grade iron ore because it was metallic, bright, tough metal inside its surface rust. If it had come from the same rock as that which my friend had visited, then here was a stony meteorite which bore large lumps of metal. 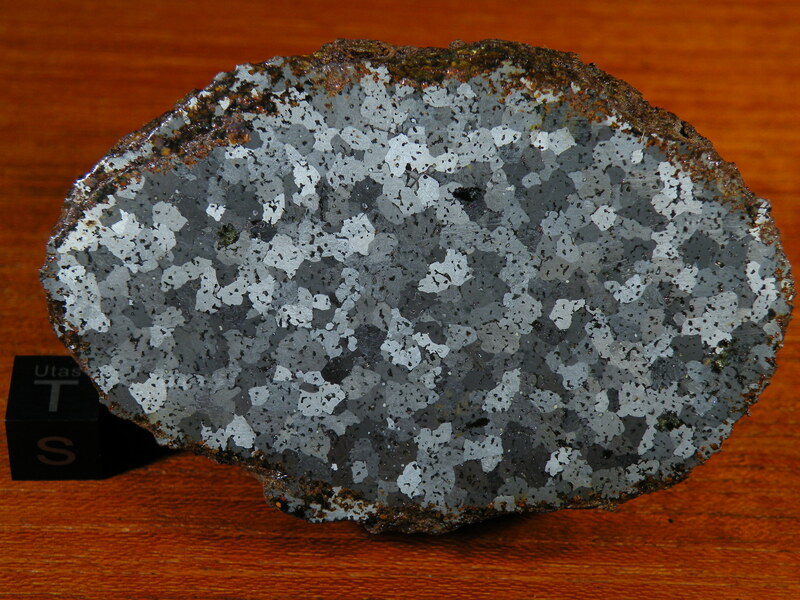 I managed to reach Lednicky by phone and asked him to send his specimens to me at once, air mail; I was sure they were meteoritic; this evidently was a new type of meteorites; I wanted it more than ever. Lednicky had to await legal clearance before he could send the samples, but on June 25 they arrived. 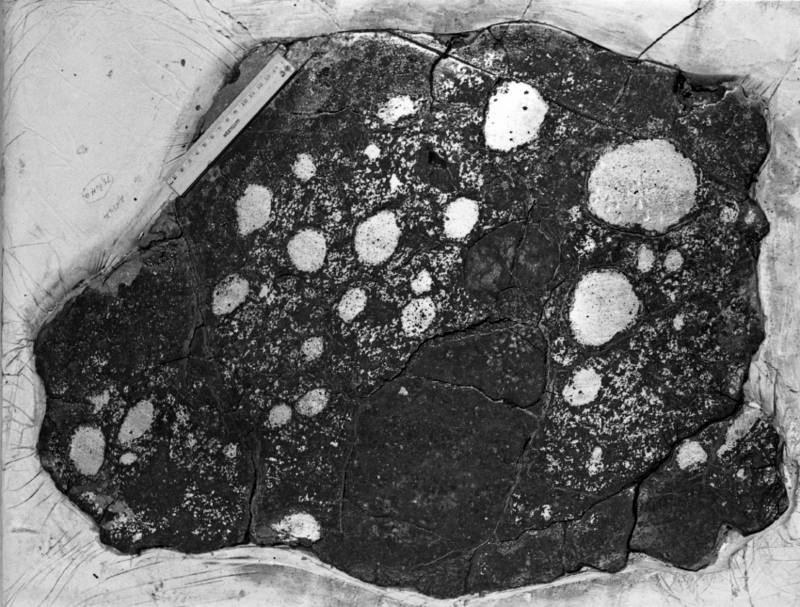 Tests proved them to be just as I had suspected–typical stony meteorite in which most of the small metallic grains had oxidized. I urged him to make every effort to recover this great meteorite–whatever the cost. A reply from Lednicky dated July 6 expressed surprise that I still considered the specimen to be a meteorite, because among local geologists the belief was unanimous that such “ore” had been coming from the Bondoc since time immemorial. However, he was taking steps to have the mass removed and shipped to me. On November 23, Lednicky wrote that the stone was much larger than had been estimated. The field crew thought now that it would weigh eight tons–such a size that would necessitate the use of a large bulldozer at a cost of $100 a day; a crane at $250 a day,with the probable total cost, $10,000. He advised caution. I telephoned him that the measurements that his men had reported would mean far less weight than the estimated eight tons, that my specific gravity tests indicated not over 3,000 pounds; I asked him again to get it out at whatever cost was necessary. As I learned later, his men reported on January 9, 1962, that they had been able to load the meteorite on a wooden sled, but that three carabaos had been unable to move it. Lednicky advised them to try a small bulldozer. When that was not sufficient he himself went down with a larger ‘dozer and the meteorite was moved to the mouth of the river. On February 21 Lednicky wrote me again. He had gone personally to the site for the third time. By making careful measurements he found the meteorite to be much smaller than his men had reported. Also, he had dug around and under the original resting place and recovered many small pieces. He found, as I had predicted, that these were not of the same specific gravity as the first metallic sample. Now a raft was being built on which it was proposed to tow the meteorite to Manila. Recovery costs, Lednicky estimated, would not run over $3,700. The last phase of the recovery was rather risky and gave us some worried moments. The day we got it on the bamboo raft for the trip down the river and across the stretch of sea, a typhoon showed up. The water got so turbulent that we had to hire two motorized fishing boats to stabilize the raft. Night came and one of the boats started to founder so we steered close to shore as I was afraid to lost about $3,000 worth of recovery gear that I had borrowed from the office–besides the meteor. As we got near the coast of Mulanay one boat sank and we almost lost four men trying to keep the raft from collapsing as the waves were unusually big. It was a nightmare all the way–so near and yet so far. Once it was ashore I found it hard to hire a truck for the run to Manila. All our office trucks happened to be out of town and none of the trucking firms in Manila wanted to rent us a truck either because they were advised that the roads were lousy or due to the uncertainty of the typhoon. Luckily, I ran into a friend who would let me use one of his large trucks provided I had it back within twenty-four hours. It was sent after the meteorite and everything seemed fine until the truck wasn’t showing up when due to return. It gave me several anxious hours waiting as I worried that they got held up as they were lugging $2,000.00 with them to pay for the recovery team in the field. It finally showed up just before the deadline with the precious cargo. I was able to sleep soundly after that for a while. John Lednicky put three and a half years of effort and frustration into the “favor” he had offered in late 1958. Without him the Bondoc meteorite would never have been recovered. 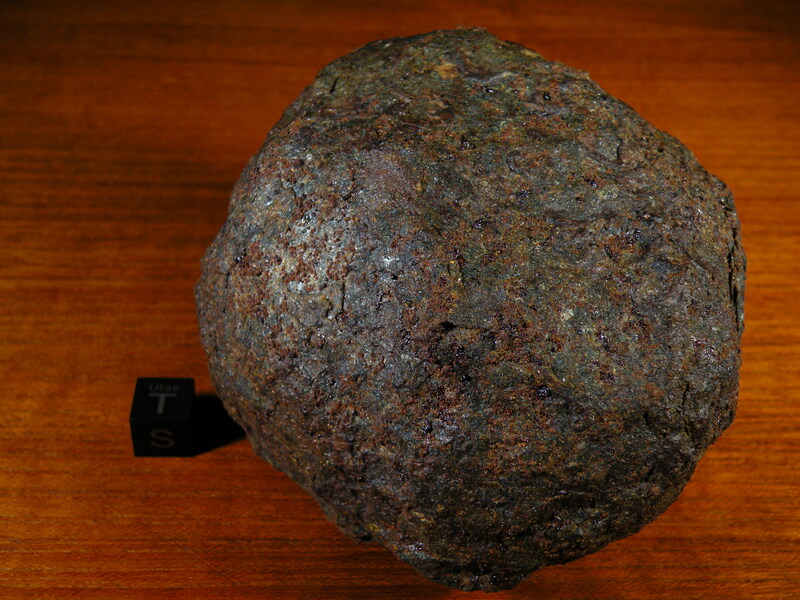 Even after the great meteorite finally reached Manila there were more delays and red tape before it could be carefully crated and shipped to the United States. 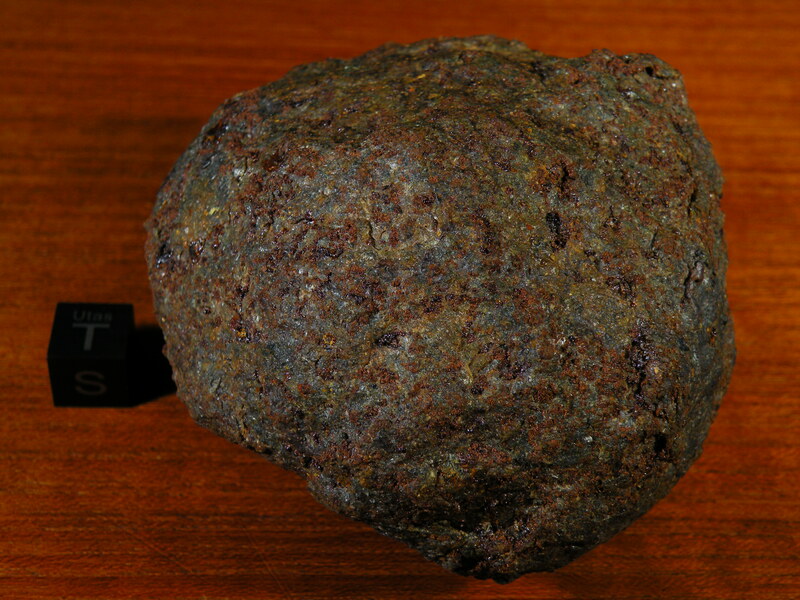 It weighed 1,955 pounds– a shade under one ton and the second largest stony meteorite ever recovered. At the Flagstaff station, in August of 1962, a wrecker hoisted the massive stone onto a special, small trailer and we hauled it down Oak Creek Canyon to Sedona. It was installed just inside a window of my studio off the main part of the house. Here I shared working quarters with it while I studied its exterior. Surprisingly, I found that it holds a complex system of magnetic fields–the first meteorite found with such magnetic properties. 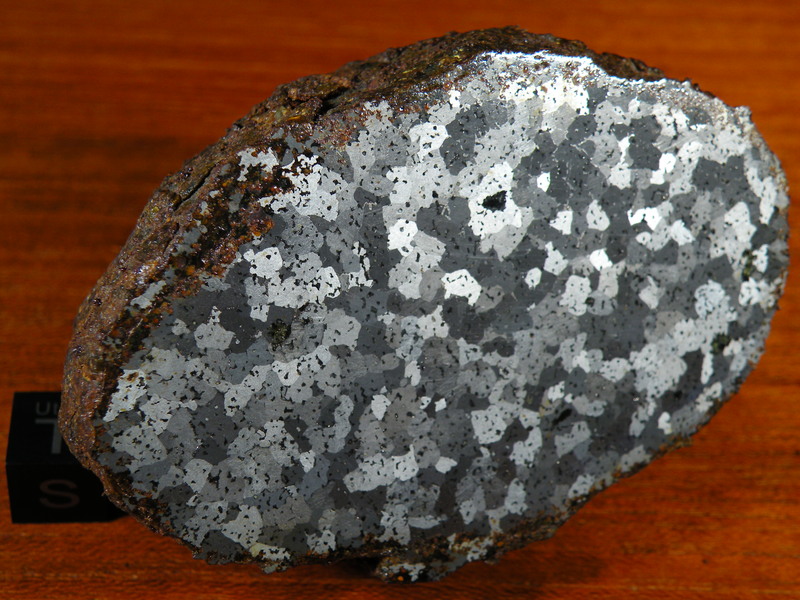 The Bondoc meteorite has magnetic poles, negative and positive miscellaneously, scattered every few inches over its surface. Across the world the real hero, John Lednicky, accepted only expenses and the satisfaction of success for the rather large fraction of his life’s energies that Bondoc cost. As partial thanks I sent John a meteorite suitable for a wall decoration. I saved this image some years ago; it was taken at ASU, but I don’t know when or by whom. It shows a full slice through the Bondoc main mass; the ruler is 6 inches long (~15.24 cm).